Improves filterability and the solidification point of diesel fuel. Ensures winter operation in cold conditions. Compatible with all conventional diesel fuels but has no effect with pure bio-diesel. The additive must be added before the first flocculation; any flocculation that has already occurred cannot be dissolved by the product. Ideally, the additive should be at room temperature and the diesel fuel being treated should not be below 0°C. The additive should ideally be added just before the fuelling process. For all passenger car and truck diesel engines, buses, construction machinery, including common rail and pump/nozzle systems. 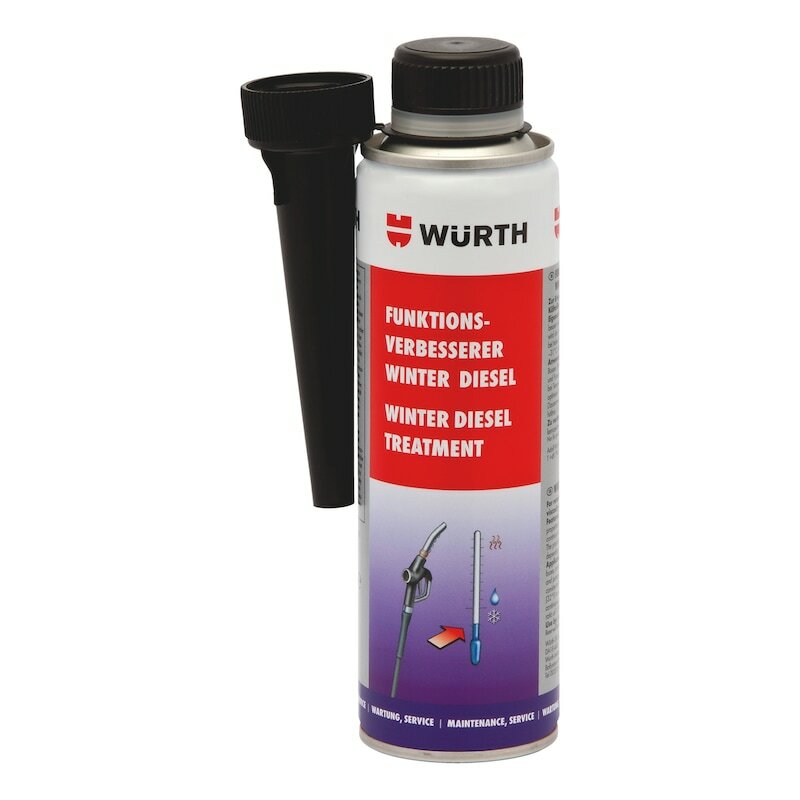 Add the contents of the can to the tank at temperatures around 0°C to produce the optimum effect. Add 1000 ml to the fuel in the ratio of 1:1000. Add 300ml to achieve a concentration of 1:500 in the fuel. 150 ml is sufficient for max. 70 litres of fuel. During the colder seasons, we recommend prolonged use.